People in Poland waste 9 million tonnes of food per year. We decided to take a closer look at these horrifying statistics and create a product which could contribute to the facilitation of food management. We started by conducting research to be able to better identify the main problems of the users. 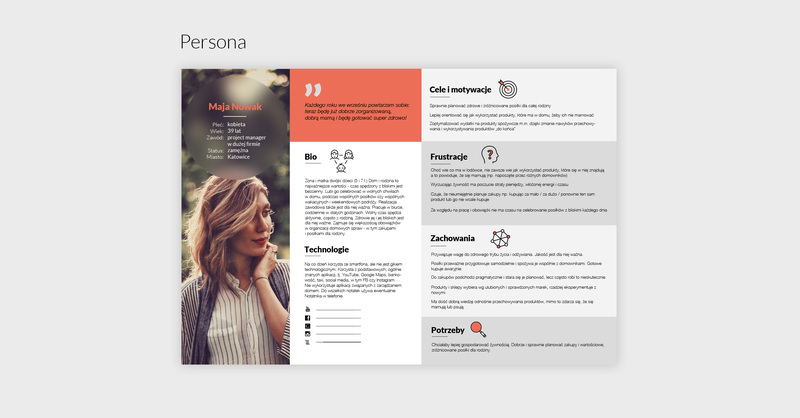 We created UX personas which helped us construct product strategy, usage scenarios, and finally, the prototype of our application. Next, we ran usability tests, improving the initial assumptions about the designed solution. 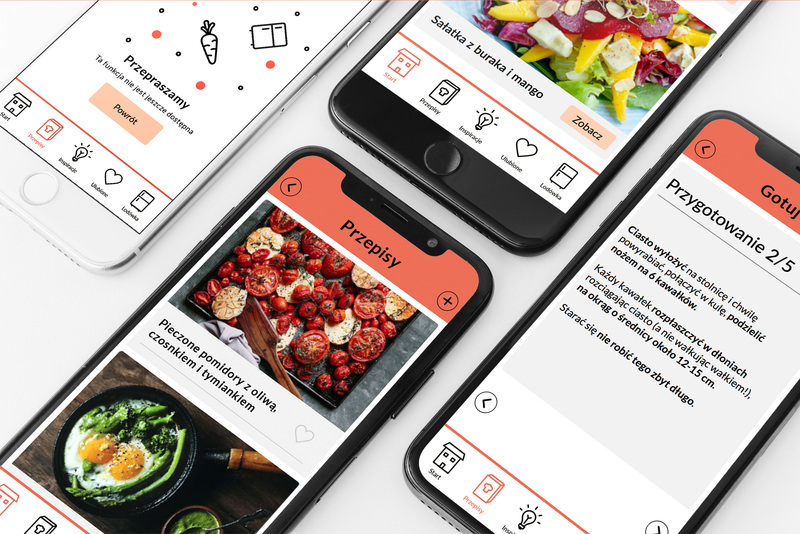 We went through the whole UX process, which resulted in the creation of the application prototype called Jadłospis – “menu” in Polish. It turned out that our solution was a comprehensive aid for the users, helping them organize their home life and kitchen matters better. It also helped solve problems connected with proposing, planning, and preparing meals for the family. The prototype app met with positive feedback and was rated as user-friendly, effective, and effortless in use. Each stage of the project was realized by a project team; personally, I was particularly responsible for the visual design. 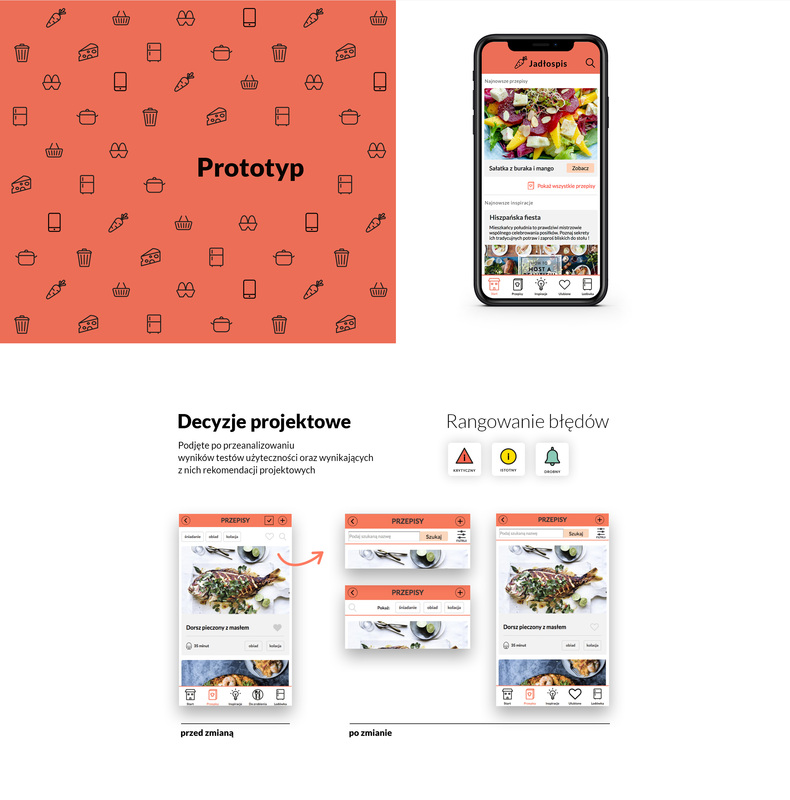 I designed the identification, logotype, color scheme, key visuals for the app interface, an icon set, and GUI; I also took care of the visual aspect of all our project presentations and reports. 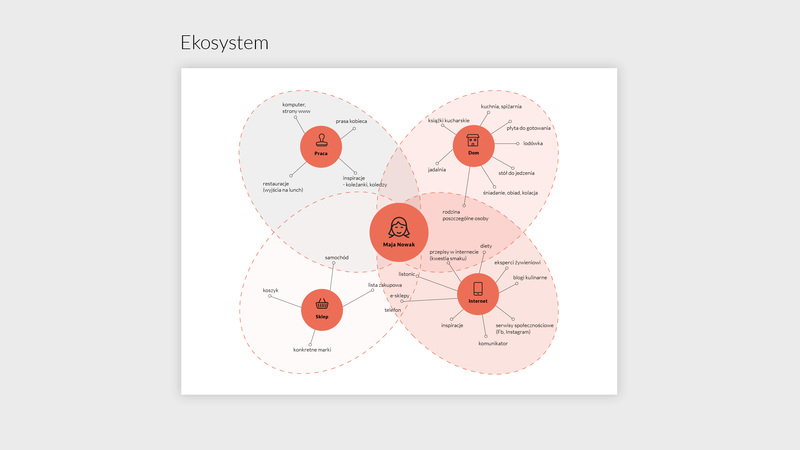 What’s more, I prepared an explainer video to outline the product idea. 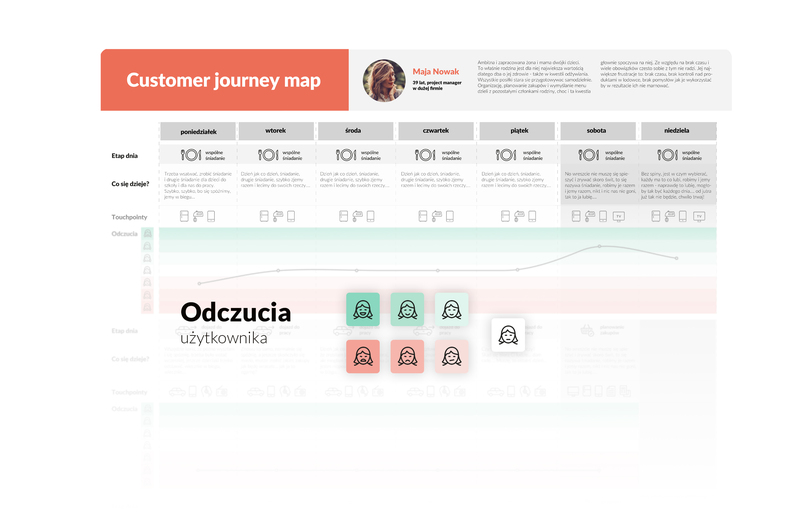 The project was realized during the year-long post-graduate course of User Experience Design at the SWPS University of Social Sciences and Humanities in Katowice by an outstanding and extremely committed project team: Agnieszka Niewińska, Wojtek Rymaszewski, Katarzyna Sawicka, Ewa Stańczak, Czarek Żmuda; Mentor: Paweł Nowak.